At Advance Planning, A Law Corporation, we focus on living trusts, wills, powers of attorney, advance health care directives, special needs trusts, and various other estate planning techniques to protect what matters most to you. 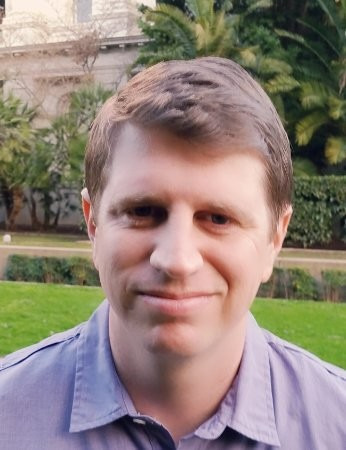 Attorney Grant A. Toeppen founded Advance Planning, A Law Corporation in May 2018. We are based in Manteca, California. Our primary focus is estate planning, particularly living trusts, wills, general durable powers of attorney, advance health care directives, and other related estate planning documents. We also handle uncontested conservatorships, probates of decedent's estates, and spousal property petitions. Our goal at every stage of your relationship with us is to be accessible, friendly, professional, and effective. You will find that we have streamlined all of our procedures to a science while retaining the human element that is central to proper estate planning. The firm consists of Grant A. Toeppen, his wife Noriko Yamaguchi, and brand ambassador Chubbs the Boston Terrier. Our focus is drafting estate plans that work for our clients. We endeavor to work with our clients so they understand how and why we are protecting their estates and families with living trusts, wills, and related documents. Our process for most estate planning clients is 1) meet with the client at no charge; 2) listen to the client and understand their goals; 3) gather information from the client to determine how to meet these goals; 4) draft the client's documents; 5) meet with the clients for final review and execution of their estate planning documents; 6) follow-up by retitling assets and providing a lifetime of assistance to our clients. Our firm's strength is our absolute commitment and flexibility in working with our clients. As a small firm, we offer a personalized touch that many of the big firms cannot provide. To them you are a case number, to us you are a person whose satisfaction and recommendation is vital to our success. Manteca is a small town and word of mouth is invaluable. We have worked incredibly hard to do our best for each and every client and to make sure they understand that they are taken care of from the first time they call us to a decade down the line when they call for some help in filling out beneficiary designations. We encourage you to give us a call and see if you can tell how much we care about treating everyone with dignity, respect, and professionalism. Originally from the Midwest, my family moved to California when I was young so that my father could be an optical engineer at LLNL. Since a young age I have been both a bit of an obsessive-compulsive and full of wanderlust. As such, I have studied a wide variety of topics and traveled all over the world. For the last seven years my focus has been on perfecting my legal practice, keeping my Japanese language abilities sharp, going to new places for adventures, homebrewing beer, and playing with my dog Chubbs.